MATAGALPA, Nicaragua, Aug 1 2017 (IPS) - If the impact of drought and poverty in the municipalities of the so-called Dry Corridor in Nicaragua continues pushing the agricultural frontier towards the Caribbean coast, by the year 2050 this area will have lost all its forests and nature reserves, experts predict. Denis Meléndez, facilitator of the National Board for Risk Management, told IPS that annually between 70,000 and 75,000 hectares of forests are lost in Nicaragua’s northern region and along the Caribbean coast, according to research carried out by this non-governmental organisation that monitors the government’s environmental record. This phenomenon, he explained, occurs mainly due to the impact of climate change in the Dry Corridor, a vast area that comprises 37 municipalities in central and northern Nicaragua, which begins in the west, at the border with Honduras, and ends in the departments of Matagalpa and Jinotega, bordering the eastern North Caribbean Coast Autonomous Region (RACCN). The Dry Corridor in Central America is an arid strip of lowlands that runs along the Pacific coast through Honduras, El Salvador, Nicaragua and Costa Rica. 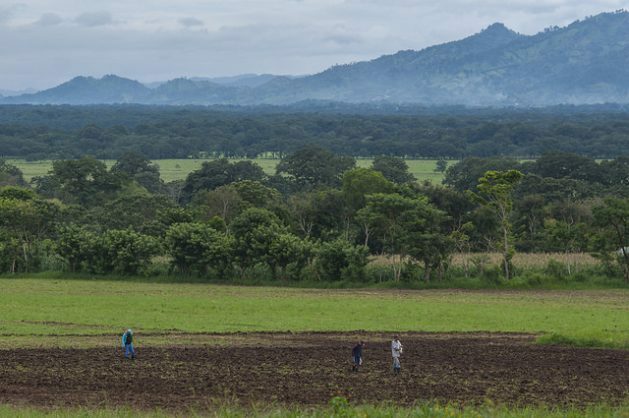 In this Central American eco-region, which is home to 10.5 million people, according to data from the United Nations Food and Agriculture Organisation (FAO), the cyclical droughts have been aggravated by climate change and the gradual devastation of natural resources by the local populations. In Nicaragua, it encompasses areas near the RACCN, a territory of over 33,000 square kilometres, with a population mostly belonging to the indigenous Miskito people, and which has the biggest forest reserve in Nicaragua and Central America: Bosawas. From these generally dry territories, said Meléndez, there has been an invasion of farmers to the RACCN – many of them mestizos or people of mixed-race heritage, who the native inhabitants pejoratively refer to as “colonists“ – fleeing the rigours of climate change, who have settled in indigenous areas in this Caribbean region. “They are peasant farmers who are unaware that most of the land in the Caribbean is most suitable for forestry,and they cut the trees, burn the grasslands, plant crops and breed livestock, destroying the ecosystem,“ Meléndez complained. He said that if the loss of forests continues at the current pace, by 2050 the Dry Corridor will reach all the way to the Caribbean coast. IPS visited several rural towns in the northern department of Matagalpa, where four of the 37 municipalities of the Corridor are located: San Isidro, Terrabona, Ciudad Darío and Sébaco. In Sébaco, the rains have been generous since the rainy season started in May, which made the farmers forget the hardships of the past years. There is green everywhere, and enthusiasm in the agricultural areas, which between 2013 and early 2016 suffered loss after loss in their crops due to the drought. “The weather has been nice this year, it had been a long time since we enjoyed this rainwater which is a blessing from God,” 67-year-old Arístides Silva told IPS. “I know two or three families who have gone to the coast to work, but because the landowners want them because we know how to make the land produce. We don’t go there to invade other people’s land,“ said Agenor Sánchez, who grows vegetables in Sébaco, on land leased from a relative. But like Meléndez, human rights, social and environmental organisations emphasise the magnitude of the displacement of people from the Dry Corridor to Caribbean coastal areas since 2005. Ecologist Jaime Incer Barquero, a former environment minister, told IPS that this is not a new problem. “For 40 years I have been warning about the ecological disaster of the Dry Corridor and the Caribbean, but the authorities haven’t paid attention to me,“ he complained. The scientist pointed out that the shifting of the agricultural frontier from the Dry Corridor to the Caribbean forest and its coastal ecosystems threatens the sources of water that supply over 300,000 indigenous people in the area, because when the trees in the forest are cut, water is not absorbed by the soil, leading to runoff and landslides. Abdel García, climate change officer at the non-governmental Humboldt Centre, told IPS that during the nearly four years of drought that affected the country, the risk of environmental devastation extended beyond the Dry Corridor towards the Caribbean. He believes the expansion of the Dry Corridor farming practices towards the Caribbean region is a serious problem, since the soil along the coast is less productive and cannot withstand the traditional crops grown in the Corridor. 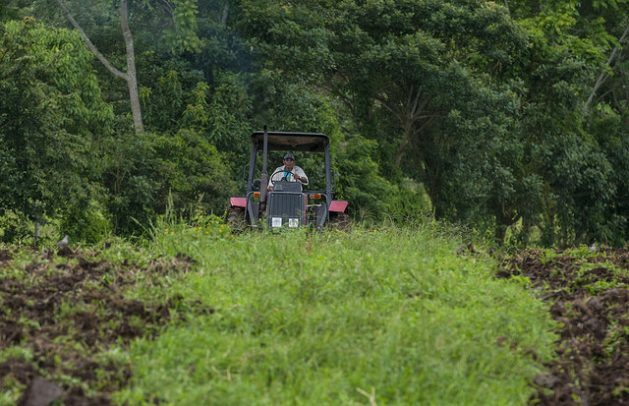 While the soils of the Corridor stay fertile for up to 20 years, in the Caribbean the soil, which is more suited to forestry, is sometimes fertile for just two or three years. That drives farmers to encroach on the forest in order to keep planting, using their traditional slash-and-burn method. According to García, the expansion of the Corridor would impact on the Caribbean coastal ecosystems and put pressure on protected areas, such as Bosawas. The environmentalist said the Caribbean region is already facing environmental problems similar to those in the Corridor, such as changes in rainfall regimes, an increase in winds, and the penetration of sea water in coastal areas that used to be covered by dense pine forests or mangroves that have been cut down over the last 10 years. The climate monitoring carried out by the Humboldt Centre, one of the most reputable institutions and the most proactive in overseeing and defending the environment in the country, found that the average rainfall in the Corridor fell from 1,000 to 1,400 millimetres per square metre to half that in 2015. The migration of farmers from the Corridor, where about 500,000 people live, towards the Caribbean is also having on impact on human rights, since the Caribbean regions are by law state-protected territories, and the encroachment by outsiders has led to abuse and violence between indigenous people and ‘colonists’. María Luisa Acosta, head of the Legal Aid Centre for Indigenous Peoples, has denounced this violence before the Inter-American Commission on Human Rights (IACHR). In her view, the growing number of outsiders moving into the Caribbean region is part of a business involving major interests, promoted and supported by government agencies to exploit the natural resources in the indigenous lands along the Caribbean with impunity. For its part, the government officially denies that there is conflict generated by the influx of outsiders in the RACCN, but is taking measures to reinforce food security in the Dry Corridor, in an attempt to curb migration towards the Caribbean. Of Nicaragua’s population of 6.2 million people, 29.6 per cent live in poverty and 8.3 per cent in extreme poverty, according to the World Bank’s latest update, from April.